I’ve been a bit distracted and busy this spring. We are sitting under a blanket of almost two feet of snow, Long’s Peak has been missing for three days behind a curtain of clouds. April was such a beautiful month that I neglected my blog writing to pursue more outdoor activities. (We have eagles! And owls!) Some idle late-night internet searching for an idea invariably leads me to BuzzFeed, where I find very little information I need, but it did give me an idea! 1. He was friends with Helen Keller. 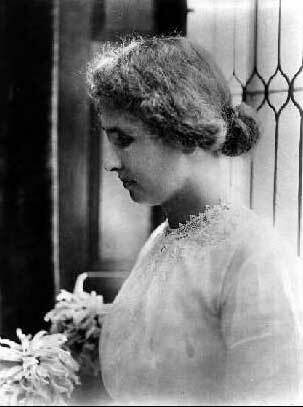 His daughter, Enda, met her in 1922 when Enda was three years old. Helen wrote him a letter in 1916 telling him how much she loved his book “In Beaver World”. On of these days I’ll share it with you. 2. Enos didn’t drive a car, or had a license to drive one. By the time cars were prevalent in the Estes Park area, Enos had a small fleet at Long’s Peak Inn, with his staff driving them. A Stanley Steamer Mountain Wagon, and two Model A Fords to shuttle customers from train stations to the Inn. If he went into Estes Park on his own, he usually rode Cricket, his horse. Licenses weren’t issued in Colorado until 1931 at the earliest, nine years after his death. 3. It took him nearly fifteen years to get published. 4. He was not fond of cats, especially mountain lions. He frequently called them “game hogs” in his stories. He much preferred grizzly bears, so much so that he raised two cubs, Johnny and Jenny, for a year after their mother was killed. 5. He spoke at the Tuskogee Institute in November, 1908, to the whole student body. Booker T. Washington was the principal at the time. Enos’ usual theme with his talks were on forestry and tree conservation, sometimes ending with a bear story. 6. 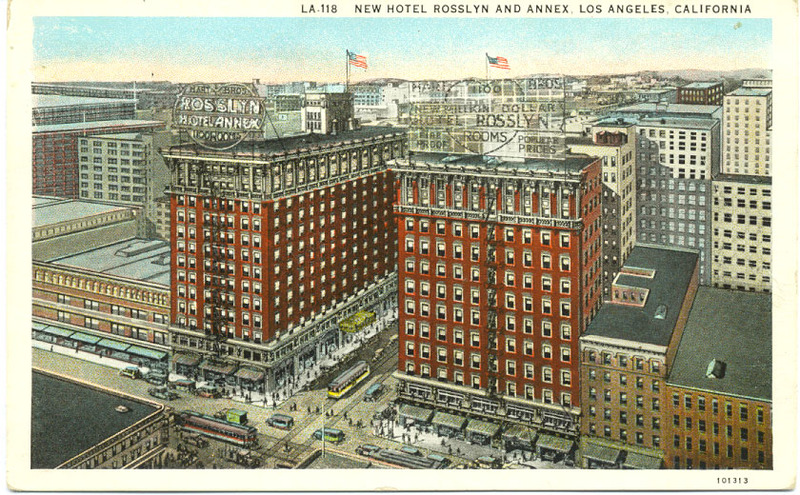 Enos, with his wife Esther and daughter Enda, stayed at the Hotel Rosslyn in Los Angeles in 1922, during his tour of the west coast. 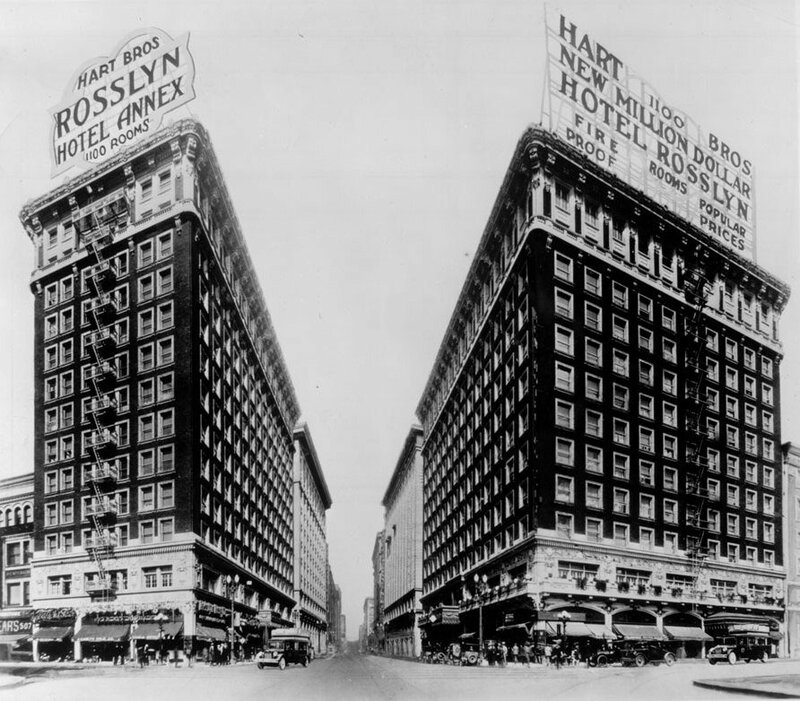 At the time, the luxury hotel was only ten years old and in its heyday. Some online searching didn’t reveal much except that it is now in a dodgy area of L.A. Although, I did find some old photos of it. 7. Although he was allergic to wheat, Enos did enjoy the occasional waffle. Esther mentions it in a journal she wrote about raising their daughter the first few years of her life. Eating wheat products gave him something of a sour stomach, but when he wanted waffles, he wanted waffles! 9. Enos corresponded with two presidents: Teddy Roosevelt and Woodrow Wilson. Wilson was the president that signed the bill creating Rocky Mountain National Park, not Teddy. Enos also spoke before Taft when he was giving a talk on bears at the White House. When I think of some more little snippets and tidbits, I’ll add to this, but for the time being, have some trivia to impress your friends at parties, especially if they are Enos Mills fans!